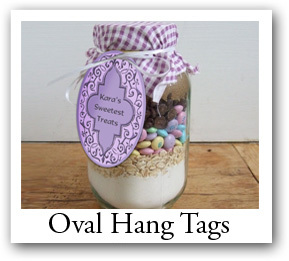 Custom hang tags for favors of All Possible Shapes and Sizes - Specialty Favor Tags Shapes For Every Occasion. 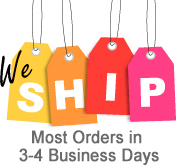 We proudly supply hundreds of vendors with the most professional tags of any possible shapes. 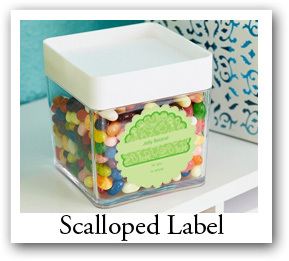 Customizing personalized favor tags of any shapes is easy at Labels On the Fly. 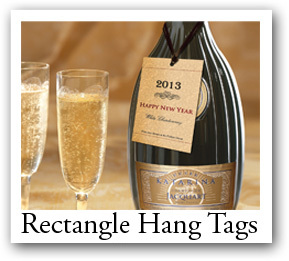 You can upload a photo and customize the bottle neck tags with your own words, fonts, colors, size and even shapes. 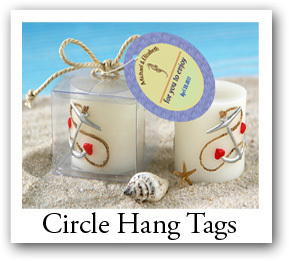 We also carry monogrammed wedding tags as well as beach themed wedding favor tags. 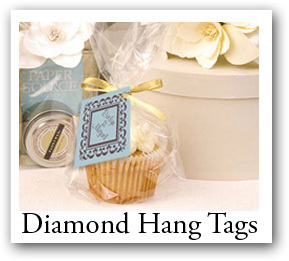 For those who have a traditional themed wedding we also carry vintage style hang tags for weddings. 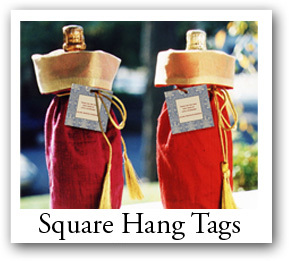 Choose from many shapes and events including circle shaped wedding tags, oval shaped gift tags, rectangle wedding favor tags, square wine gift favor tags and scalloped baby announcement tags.